Back when I was a broke high school/college student, I used to make Toll House® cookies to give as presents at Christmas. My recipients were always thrilled to say the least! 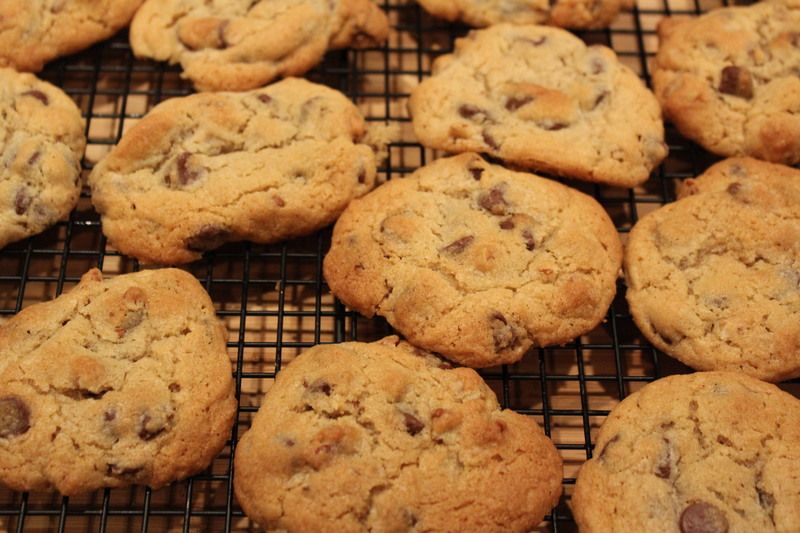 I made sure not to skimp on the ingredients, using Nestle’s Toll House® chocolate chips and real butter. Yes, real butter, never, ever margarine (blasphemy I say, blasphemy!) even on a shoestring budget. 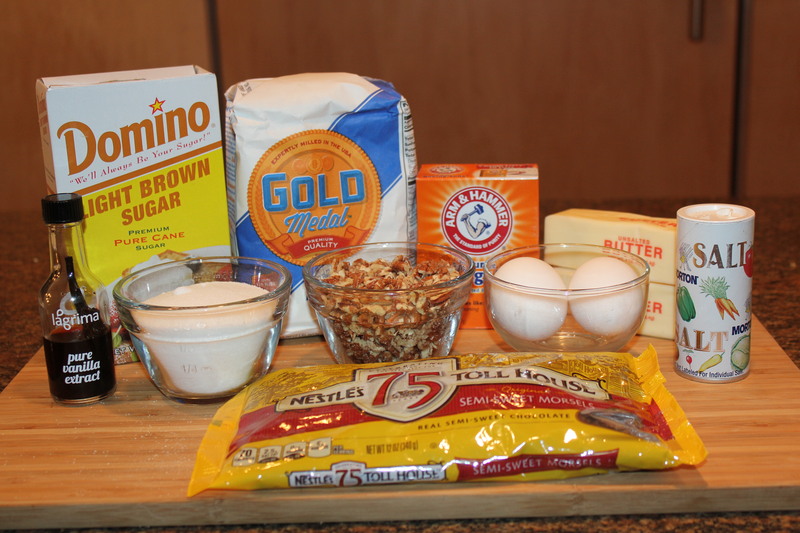 I wanted cookie perfection and this tried and true recipe, which was first created in 1936, definitely delivered. While the recipe says it will yield 60 cookies, I made approximately 40 cookies in order to have some bigger ones for the ice cream sandwiches. 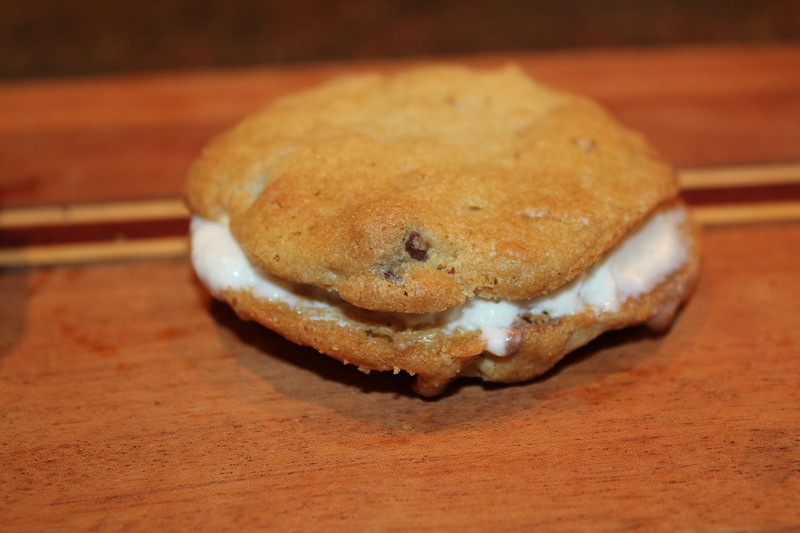 Of course, I certainly didn’t use all of the cookies for the sammies – many will go to some special folks as presents. Some traditions just stand the test of time. 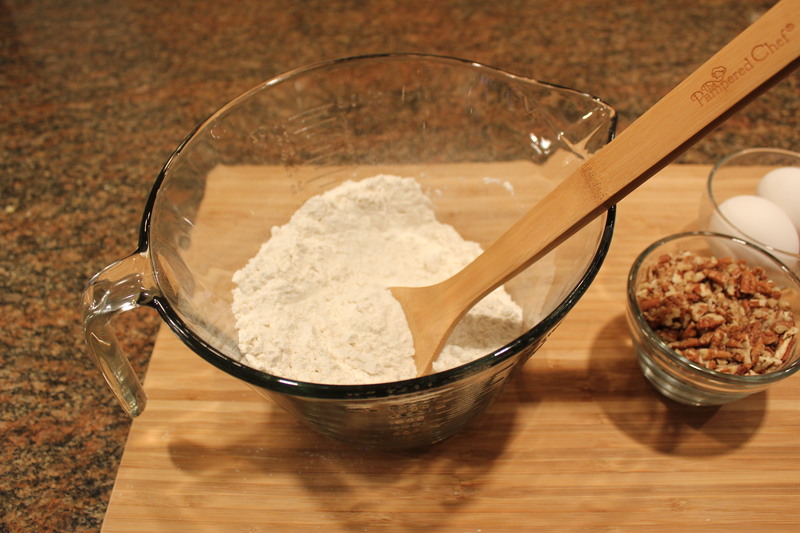 Preheat oven to 375 degrees F. Combine flour, baking soda and salt. 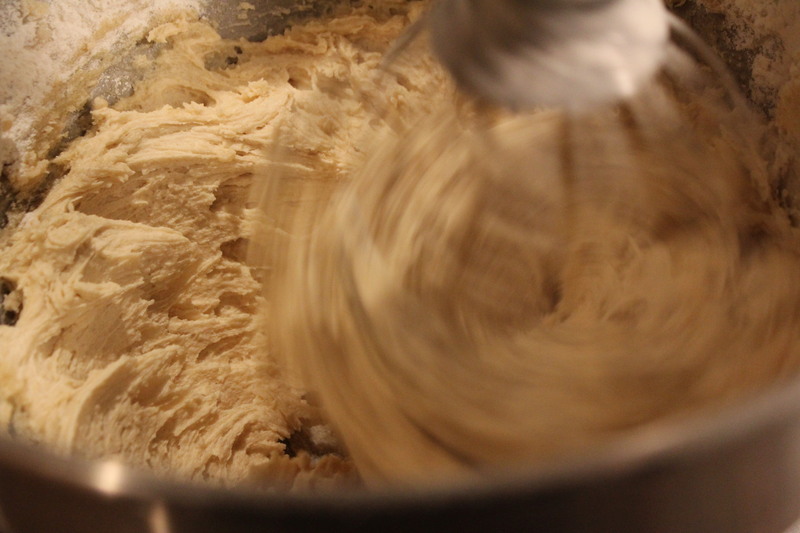 Add butter, sugar, brown sugar and vanilla extract to mixer bowl and beat on medium speed until smooth and creamy. 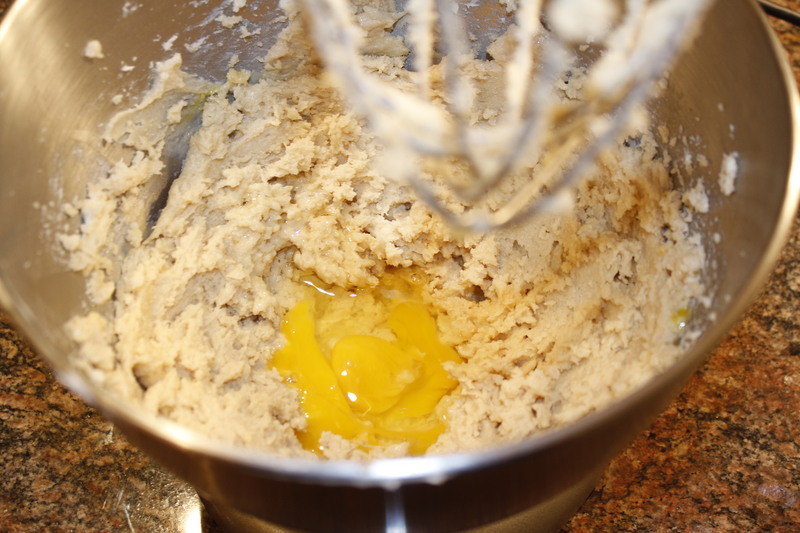 Add eggs, one at a time, to the batter, mixing each time. Slowly beat in flour mixture to batter until completely blended. You may need to scrape the sides of the bowl. 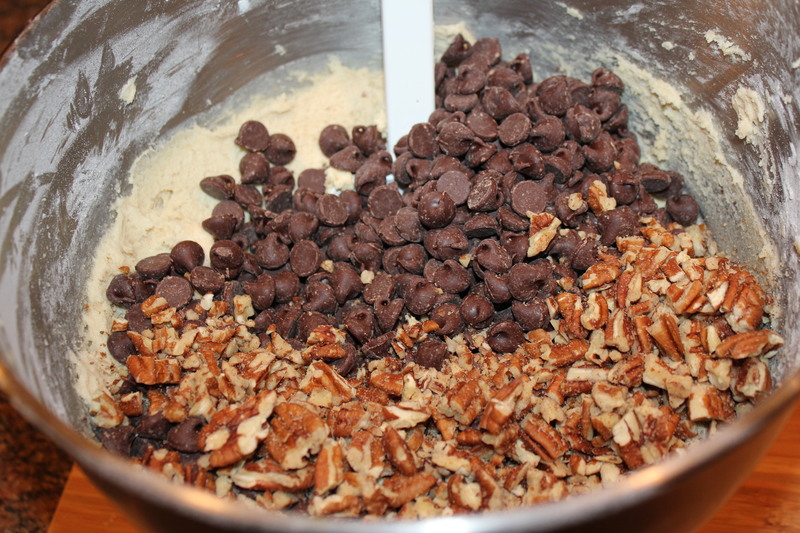 Add chocolate chips and nuts to the batter. 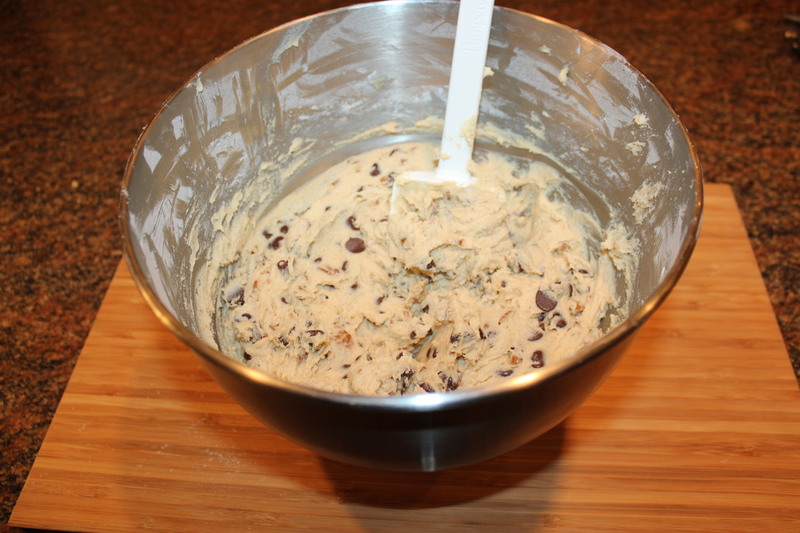 Fold into batter until thoroughly mixed. Drop by rounded tablespoon onto your Pampered Chef bar pan or ungreased cookie sheet. 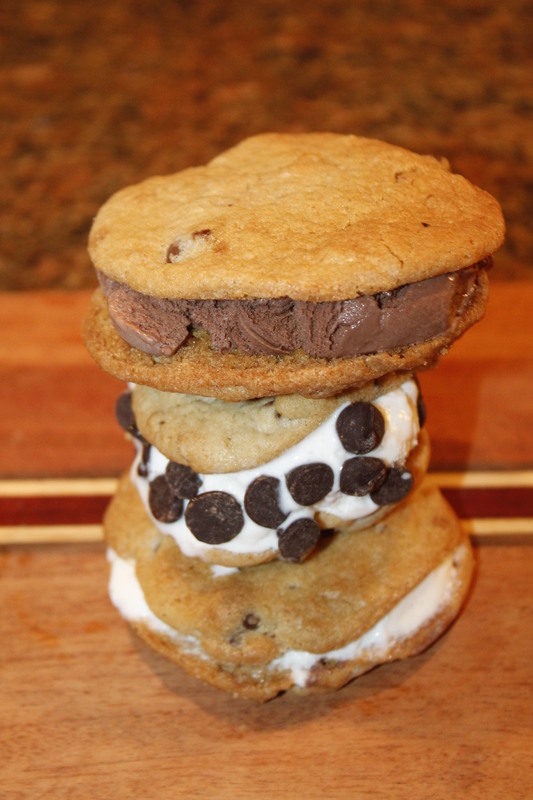 Make sure you have some “overfilled” tablespoons, depending on how many sammies you want to make. 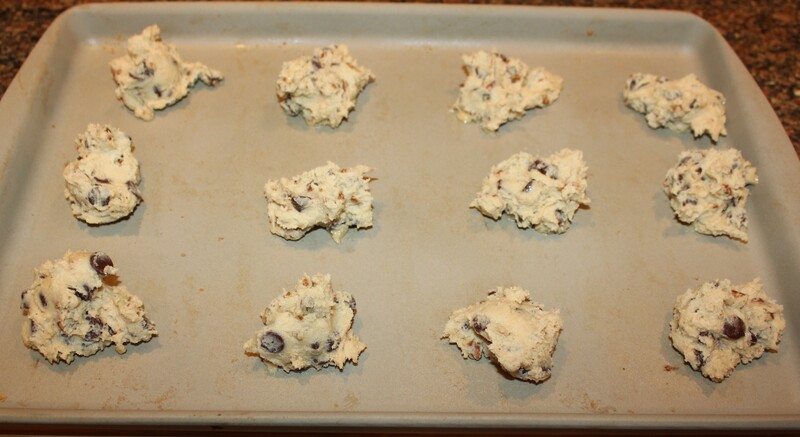 Bake for 9 to 11 minutes, until cookies are nice and brown. 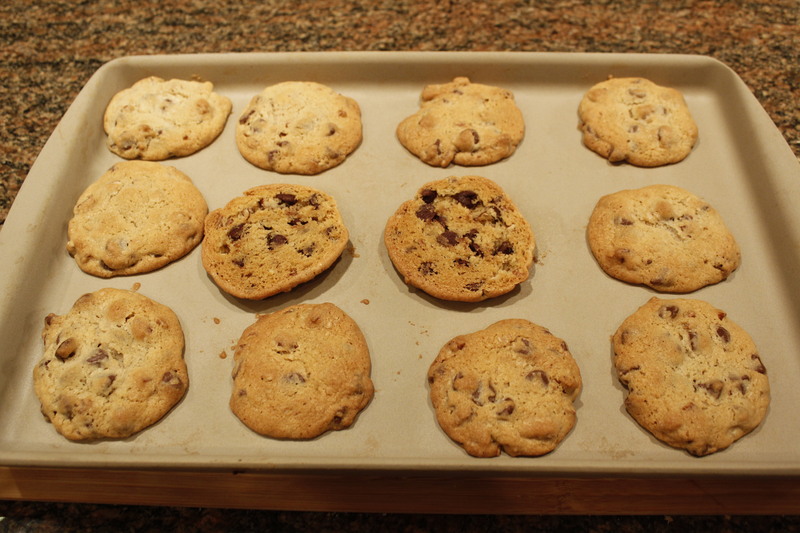 If you use your Pampered Chef bar pan, you’ll have cookies that bake evenly, like the ones pictured below – note the two in the middle that I flipped over to show how the bottoms are cooked perfectly! 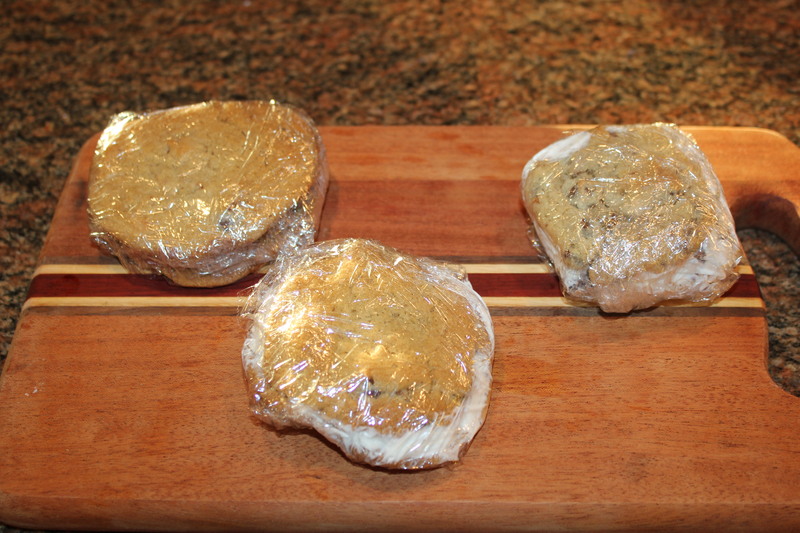 Cool cookies on bar pan for a couple of minutes and then transfer them to a wire rack to cool completely. 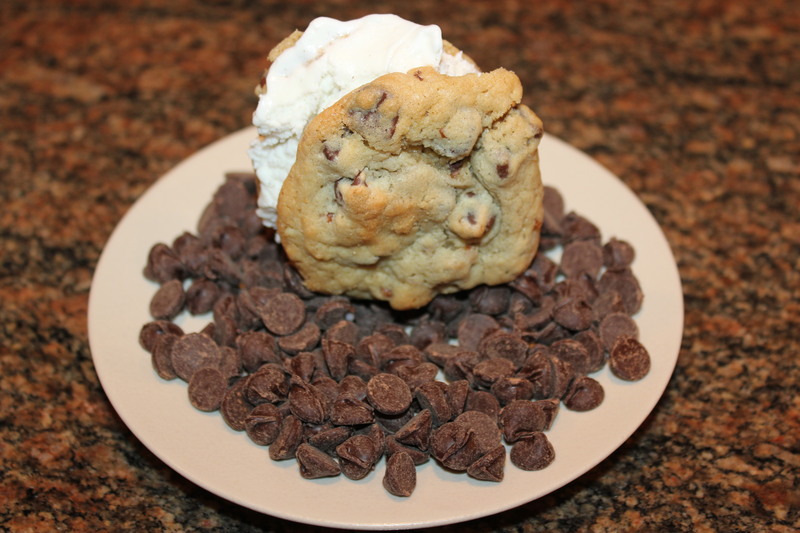 Place a cookie bottom side up and add a scoop or two of ice cream. 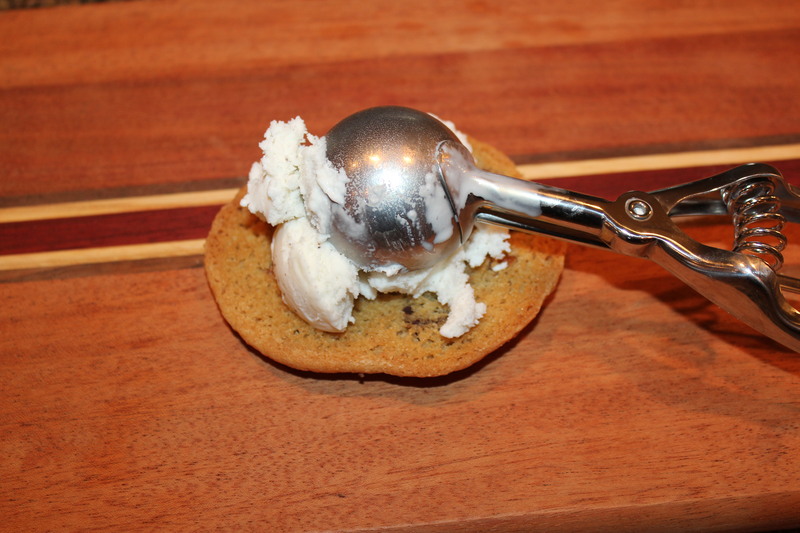 If you add lots of ice cream, you may want to spread it evenly on the cookie with a knife. Top with a cookie, pressing down some. 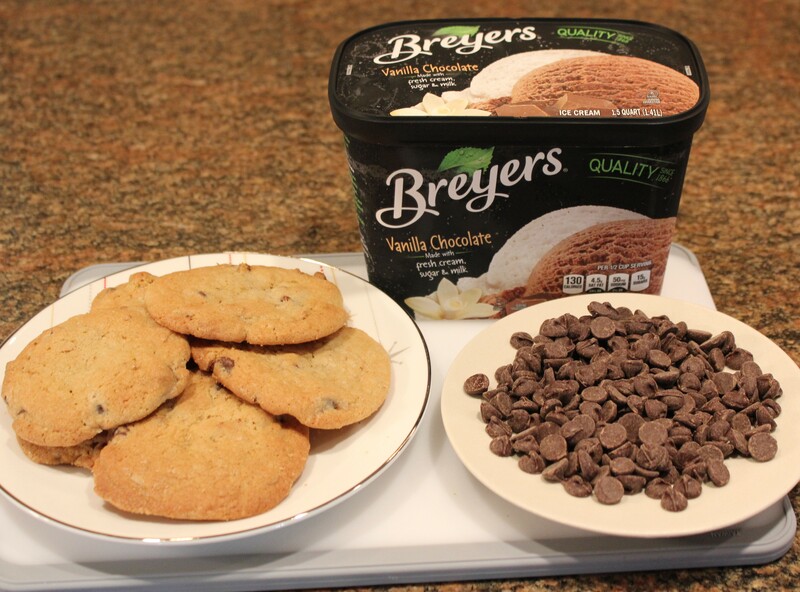 If you use lots of ice cream, you can coat the sides with the chocolate chips. 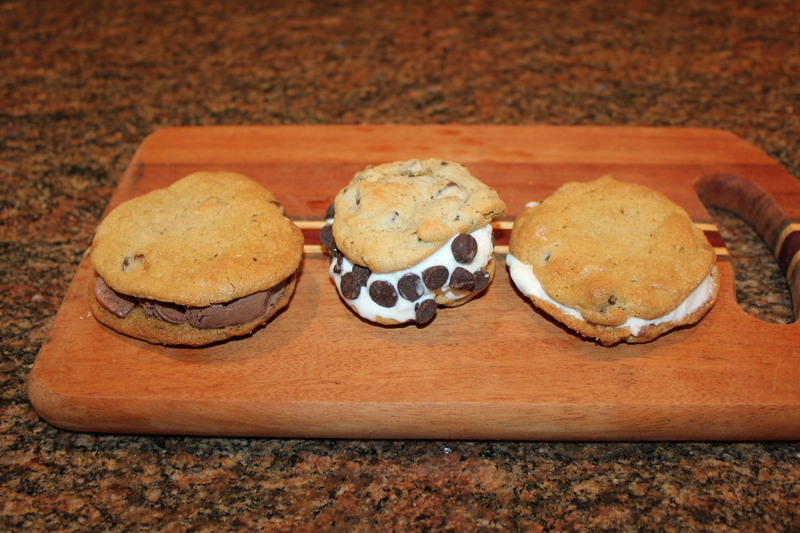 Make a variety of sammies for different tastes! Wrap in plastic wrap and freeze for several hours. Enjoy with a big mug of hot chocolate or a glass of milk. This entry was posted in Desserts, Pampered Chef tools, Recipes and tagged Cookie and ice cream sammies, eat drink and be merry, ice cream sandwiches with cookies, Kel's Cafe cookie recipes, Kel's chocolate chip ice cream sandwiches, Kelley Chisholm recipes, Toll House cookie ice cream sandwiches recipes. Bookmark the permalink. 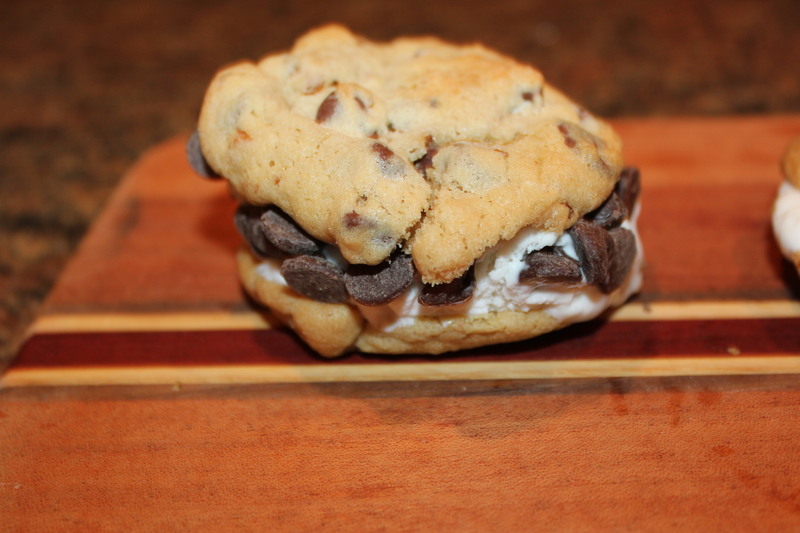 I make ice cream sandwiches too from home made cookies. They are so much fund to do. Thanks for sharing.